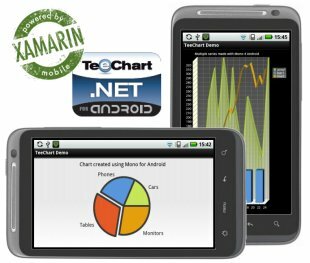 Steema is pleased to inform you about the availability of latest TeeChart for Xamarin.iOS v2012 4.13.11.11 release. 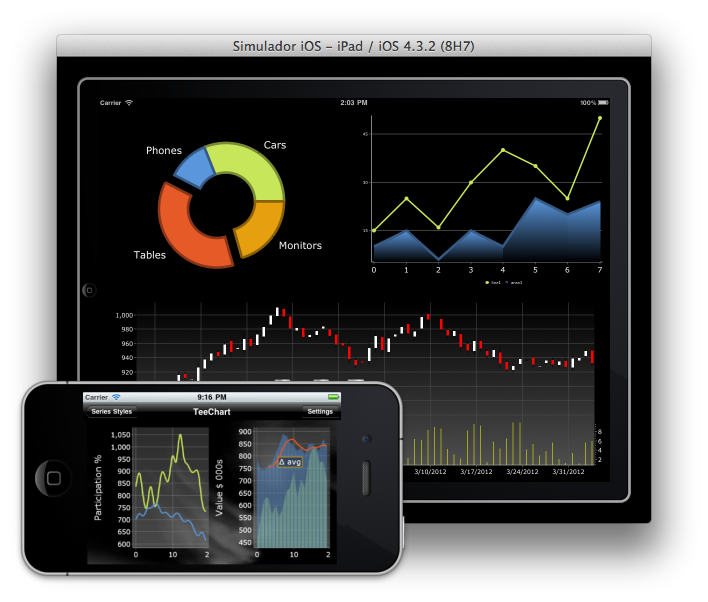 Steema Software is pleased to announce the availability of the new App TeeChart Builder Mobile at the App Store. 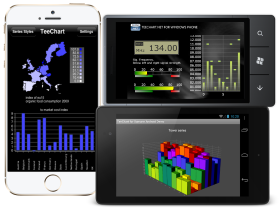 TeeChart for Xamarin.iOS 2012, latest maintenance release (Build 4.13.03.21) is now available. As a background to the release of TeeChart .NET Monotouch library for iOS, you may be interested in reading the tutorial we have written on the subject of Getting started with TeeChart and MonoTouch. Steema is pleased to announce the availability of the first release of the TeeChart Charting Library for BlackBerry mobile devices. The TeeChart Charting Library offers over 50 Chart styles including pie, line, points, bar, area, gauges and maps and 2D,3D formats, 38 mathematical functions and a full set of Chart tools components for additional functionality. 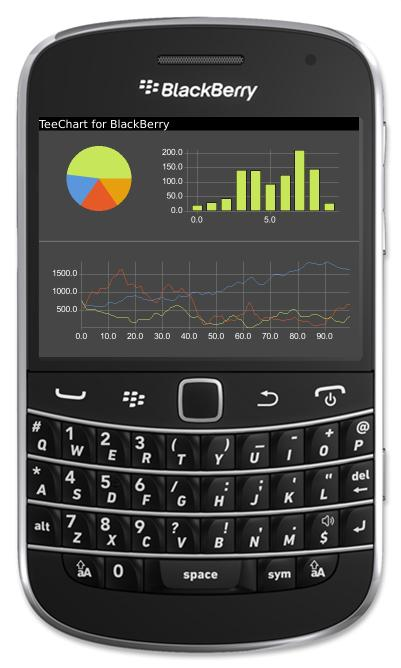 The BlackBerry Chart library is built in native Java code and uses the BlackBerry SDK (see the BlackBerry Developer web for details: https://developer.blackberry.com. Steema is pleased to announce the availability of the first BETA release of the TeeChart Charting Library for Blackberry mobile platform. Steema is pleased to announce the availability of the TeeChart .NET Monotouch library Source Code. 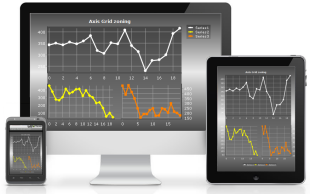 TeeChart.NET Mono for iOS v2012.0.9.25 maintenance release now available. TeeChart.NET Mono for iOS v2012.0.6.11 maintenance release now available. 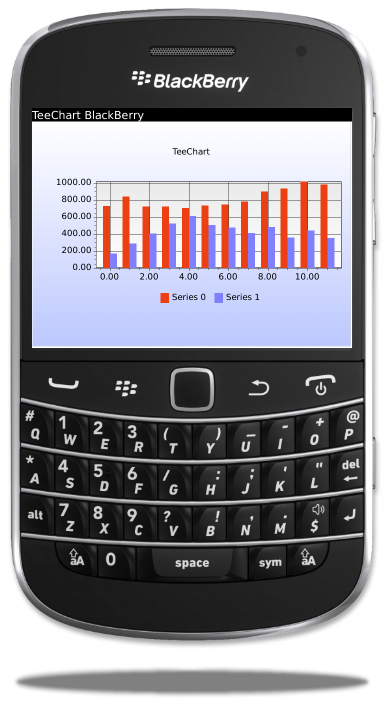 Steema is pleased to announce plans to extend the TeeChart Charting Library to the Blackberry mobile platform. The new TeeChart Charting Library for Blackberry interfaces directly with the BlackBerry JDE. Steema is working on the new TeeChart for BlackBerry Charting component and preparing a beta version which is expected to be available shortly. 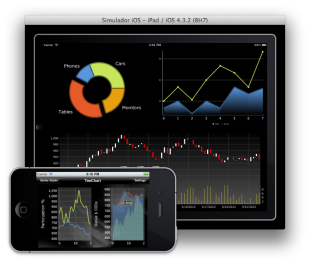 TeeChart.NET Mono for iOS v2012.0.2.28 maintenance release now available. Steema is pleased to announce the availability of the first BETA release of the TeeChart for .NET Monotouch Library for iOS/iPhone. The library is built using TeeChart for.NET's C# code in Xamarin's Monotouch IDE. Use your .NET C# code to create Charting applications for Apple iOS mobile devices!